Vacations are a time to unwind and relax, but sometimes we overindulge, and getting back into an exercise routine post-vacation is straight-up loathsome. Don’t break the chain! Keep up with your yoga and on track with your fitness plans, and you won’t feel that post-vacay guilt creep up on you. Here’s a list of different options to keep up with your fitness goals while in Key West. Sometimes the day is just a little better with yoga. Check out the Yoga on the Beach group schedule. Yoga classes are held on the beach, around the island and at 24 North Hotel. At 24 North the classes are free for guests and priced accordingly for drop-ins. See the schedule here. Classes are also available through Shakti Yoga, with classes listed here, as well as drop-in rates. Kill two birds with one stone and sightsee while working out your body. Key West is a diverse little island for biking, with great views and historical spots on every corner. The City of Key West has bike maps for you to check out ahead of time, and there’s bicycle rental places from New Town to Old Town. One of our favorite routes is from 24 North to Smather’s Beach -- head South on Roosevelt Blvd bike lane to the sea. You’ll hit Smather’s Beach, then Higgs Beach, right near the Southermost Point. By the time you ride the 4 miles, you’ll be right in Old Town to reward yourself with a meal for all your hard work. If you’re looking for a running route to escape cars, Duval Street and strip malls, the running trail at Fort Zachary Historic State Park offers 19th-century views that overlook the beach. Point Trail starts at the western side of the parking lot and does a loop around the park along the seawall. Runners can spot iguanas, cruise boats on the horizon and are welcome to take a dip in the bright Caribbean waters to cool off. There is a fee to get in, but entrance fee for those who enter on foot (or bicycle) is $2.50. Don’t limit yourself to the island! Paddleboarding, kayak and eco tours are available on all sides. Check out your options with Lazy Dog Adventures and get those arms working while enjoying the view. 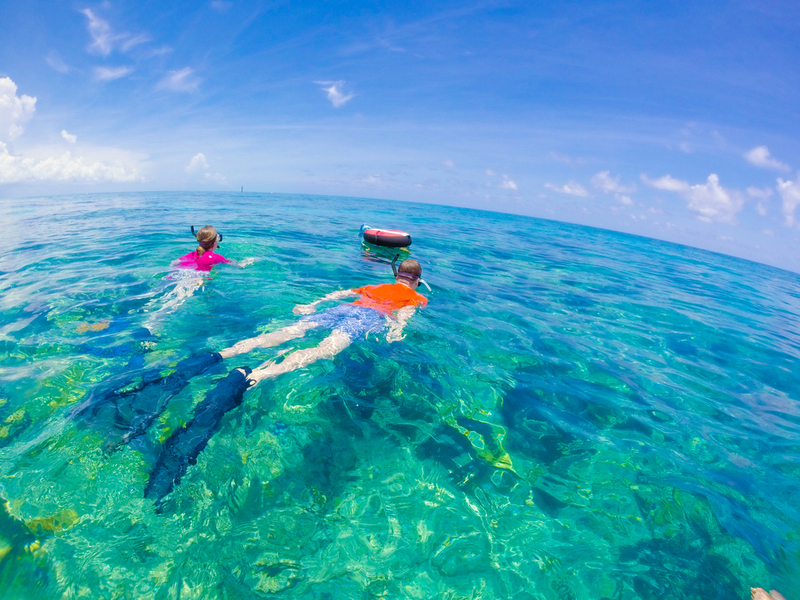 Likewise, Key West Eco Tours offer guided tours that will still have you burning off the rum runners from the night before and taking in the different ecosystems of the island, with mangroves and clear water. Planning a trip with us? Check out our special offers.